Saxons Cottage, in Horsted Keynes, is a tranquil paradise set in gently rolling Sussex countryside and is ideally situated for National Trust visitors, Bluebell Railway enthusiasts and walking on Ashdown Forest. The world renowned Bluebell Steam Railway runs just two hundred yards away and Horsted Keynes Station is accessible by footpath. For walkers, Saxons is located on the West Sussex Border Path giving immediate access to lovely walking in the Sussex countryside and the Ashdown Forest. 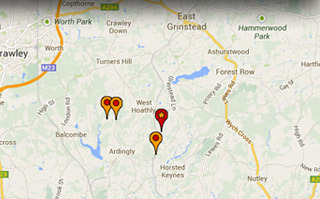 The acclaimed schools of Ardingly College, Worth Abbey and Michael Hall are all within a short drive. There are a number of excellent pubs within a few minutes drive of Saxons offering a good choice of cuisine to suit all budgets while the historic town of East Grinstead is only five miles distant and offers a good range of restaurants and also a railway service to London ( 45 mins ). Saxons Cottage forms a self-contained wing of the main house, in the heart of the Sussex countryside. 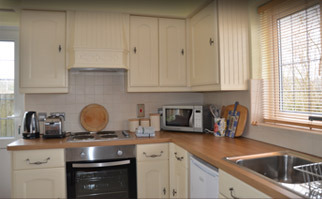 Located in a quiet lane, it is close to many National Trust properties and the world renowned Bluebell Railway, which runs just a few hundred yards from our garden. 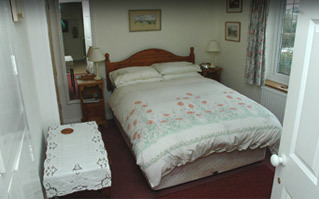 At Saxons we have two guest rooms, one double with private bathroom and one twin with bathroom en-suite. Saxons is located in the very heart of rural Sussex, and yet we are surrounded by communities and places of interest both large and small.